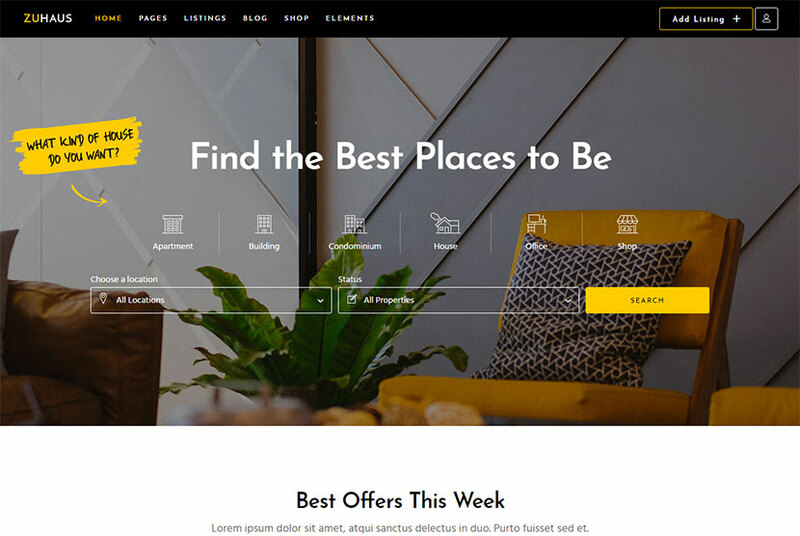 Today’s new WordPress themes collection includes the designs dedicated to real estate and single property business niche. You can choose the following themes either for creating a large property listing website, real estate portal or a small local agency’s site. Most of the themes are integrated with premium plugins which allow manage properties and listings as well as look for any property online with the help of the advanced search functionality. They also come with front-end submission functionality which is also great for users including house owners and buyers. 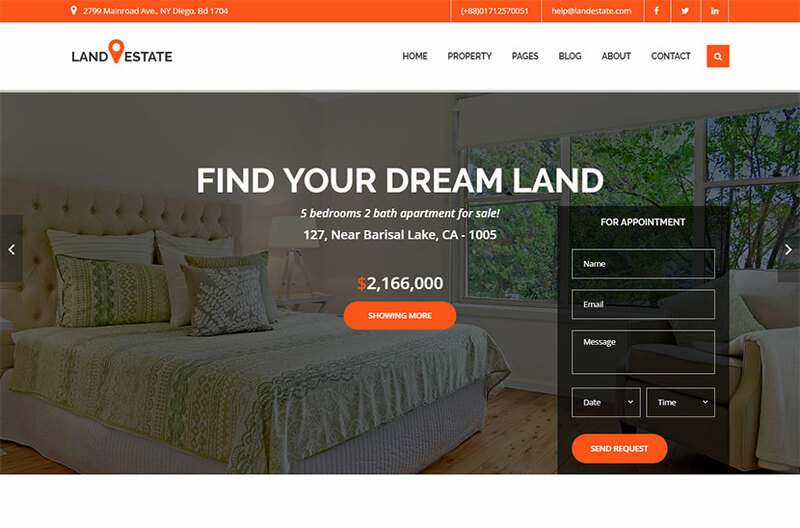 A WordPress theme built for creating a powerful real estate website. This is the easiest and feature packed way to create a full-fledged real estate website with simplicity. The template includes advanced search filter, user registration, statistics dashboard, and customizable maps. Its remarkable features include extensive admin interface, big custom shortcode collection, a number of useful inner pages, WPBakery page builder and Slider Revolution plugins, and many more advantages. A comprehensive property management system – a WordPress theme designed for real estate agents and companies. You can use this template to accept free or paid submissions as well as offer membership packages. All of this is possible thanks to the front-end submission functionality. All the components of the theme are available in WPBakery page builder, so you can build unique pages with a few clicks. Advanced Custom Fields Pro integration helps you create unlimited custom property fields. Lots of prebuilt page templates, property carousel, WPML compatibility, and much more features are included. 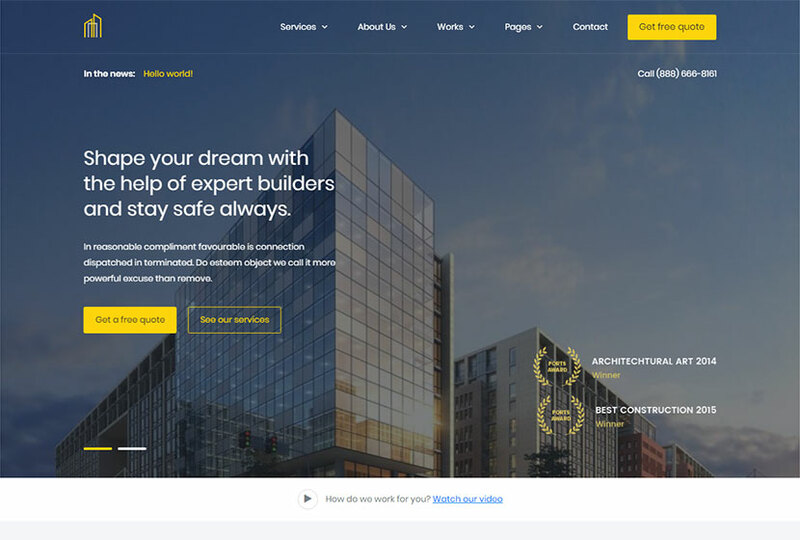 A professionally made WordPress theme made with a focus on construction, real estate, industries, distributors, manufacturers, and other related niches. As the template is fully customizable, you can tune it for any other purpose and any kind of business. As the template comes with drag-and-drop functionality (WPBakery), anyone can easily customize it even if they have no coding knowledge. An intuitive theme options panel, WPML plugin, SEO optimization, iconic fonts, modern style design, awesome customized slider, and many more features are available. 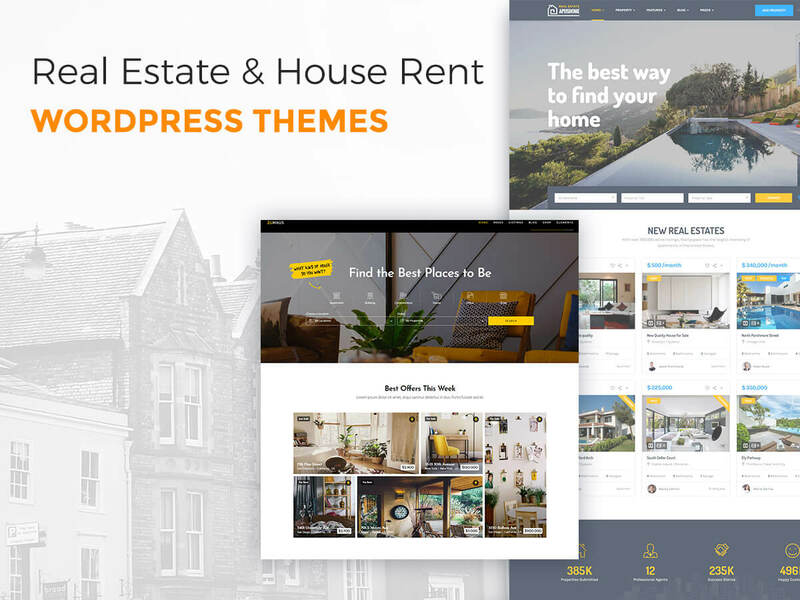 A house selling and rental WordPress theme which comes with advanced search functionality to create the ease of finding the property. Your users can submit detailed house information, use an awesome booking form, and easily look for a house they need. The template is equipped with WPBakery drag-and-drop page builder plugin, Slider Revolution (with dummy slides included), Video & Background Parallax plugin, Redux framework theme options panel, unlimited sidebars, MailChimp integration, multiple header variants, and much more features. 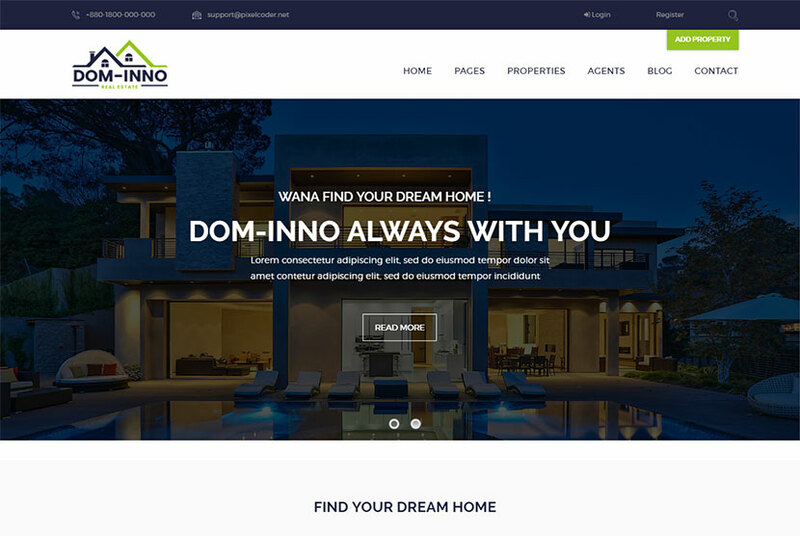 A premium and feature-rich WP theme offering amazing solution for real estate agents and companies, rental business and listing sites. The front-end submission allows your users publish personal properties on your website. The template is fully integrated with PayPal payment system, membership packages, advanced agent and agencies custom post types sections, login/register option and live intuitive theme options panel. It also comes with ready to use layouts for different real estate directions including real estate agency, properties listing, single property, property rental, and much more. 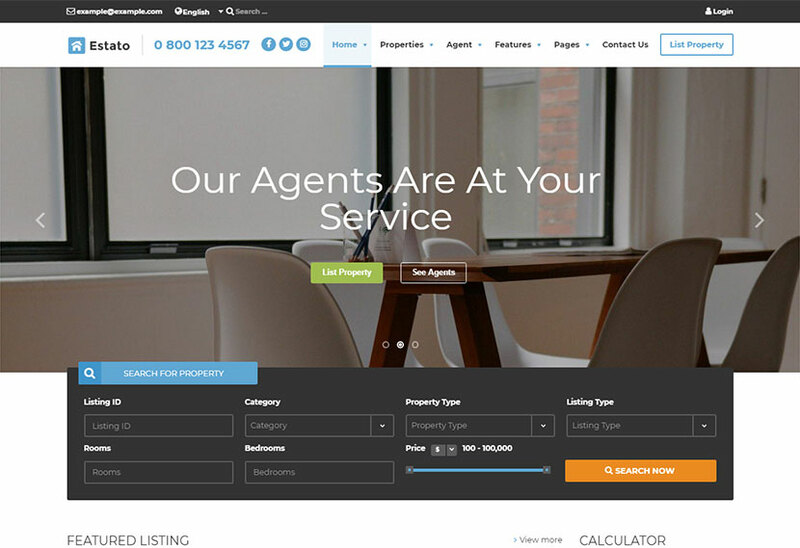 A WordPress theme designed for real estate agencies, agents and property owners. You can also use this theme for creating a corporate website. 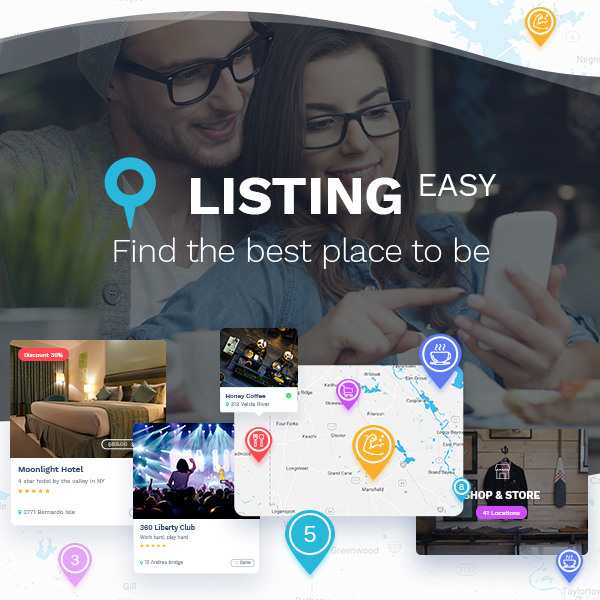 The theme includes pre-made pages and options like testimonials, comprehensive property search filters, locations, and more ones allowing you to showcase services you provide. The template allows users manage their own properties without accessing admin dashboard, right from the front-end. They can manage their profile, password and property listing. Features like property management, bookmarked properties, agencies and agents plugin, advanced and dynamic search forms, currency formatting options, and many more ones are available. 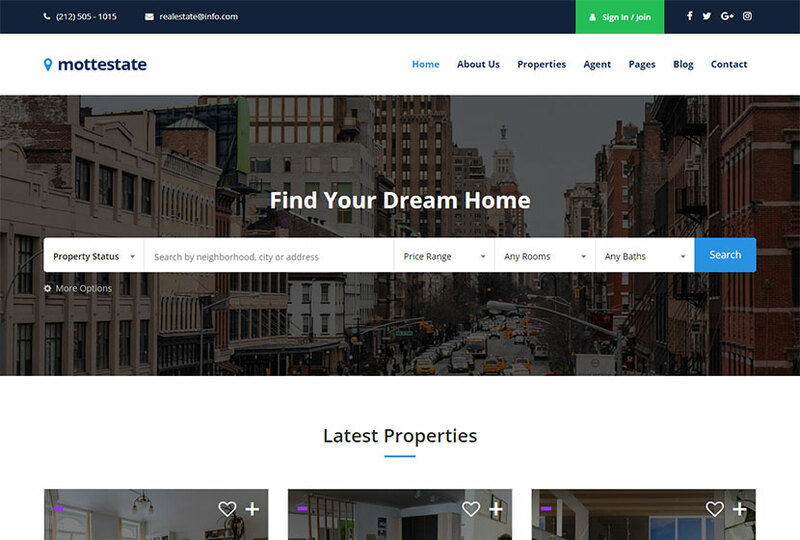 A creative, mobile-friendly real estate WordPress template suitable for a wide range of websites. It brings flawless user experience, flexibility, and beauty to the real estate niche. 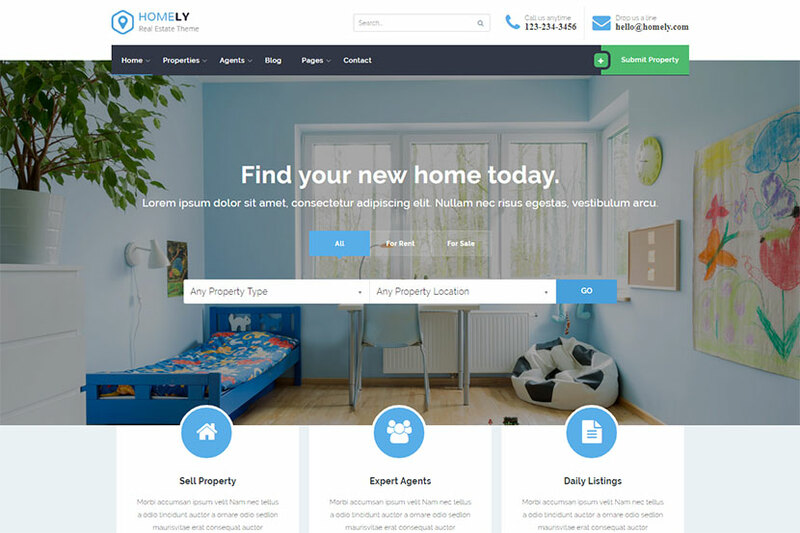 You can use this theme to create a large property listing website, or a site for local real estate agency. You can easily mix and match modules to create unique pages. The features of the theme include property detail variations, unlimited floor plans, property walkscore, favorite properties, blog layouts, advanced meta-boxes, and many more. 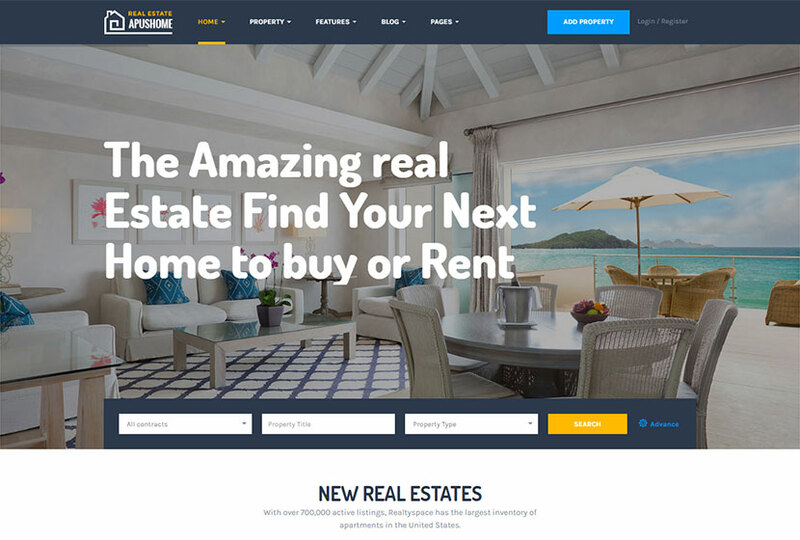 A WordPress theme for real estate websites like property listings. Users can manage their own listings without accessing admin dashboard. Of course they can manage their profile, password and payment backlog from the front-end too. The template allows you to start earning by charging your users for the property submissions. This theme is suitable both for large portals and small local websites for agencies. Property management options include the information about properties like featured image, price and assigned taxonomy terms. WP REST API integration allows to search for properties via API. Much more features are also available. 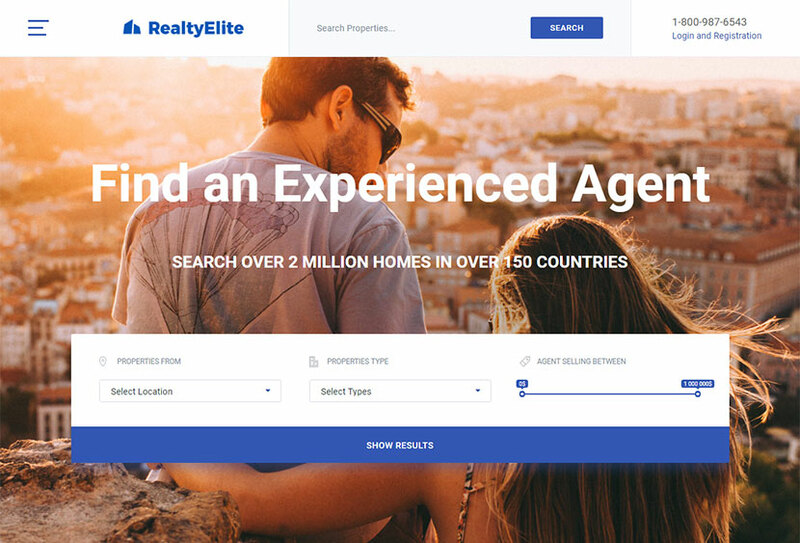 A real estate WordPress theme based on Realtyna WPL – a feature-rich and flexible WordPress plugin for creating real estate websites and portals. The theme is appropriate either for small or large websites for single property and house rental needs. The features of the template include list and grid property layouts, advanced Google maps, easy adding, modifying, deleting or deactivating property data fields in the Add Listing wizard, 7 level dynamic location system, the ability of users or agents to edit listings depending on their access level, and much more advantages. 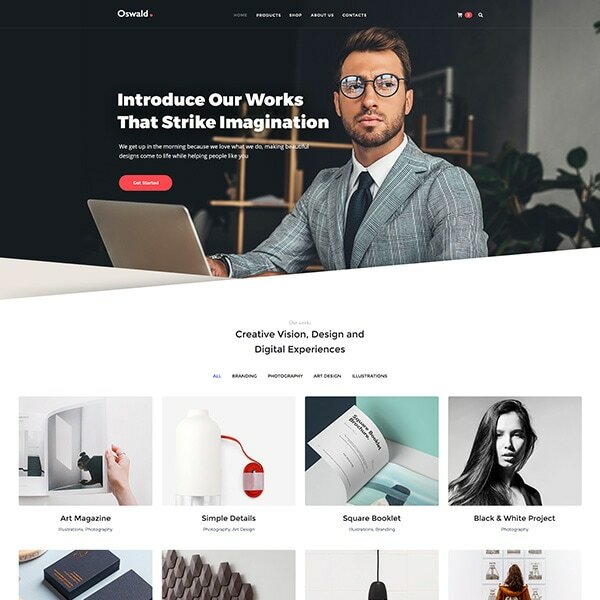 A clean and elegant WordPress theme suitable for any agency, agent, property, real estate, rental, corporate, apartment, or other related websites. It is a feature rich responsive solution either for building your debut site or revamping your old one. As the template includes a few pre-defined homepage layouts, you can mix between all of them to get a different layout for your own website. The home page looks really stunning with large slideshow above and mega menu below. The theme is based on Bootstrap and comes with advanced theme options which make changing the feel and look of your web-pages a flexible process. A WP theme specially designed for real estate, single property, or property showcase websites. However, this theme is fully customizable and extendable, so you can edit it to use for any other purpose. The template supports WPBakery page builder plugin integrated into it and the latest Revolution Slider included. 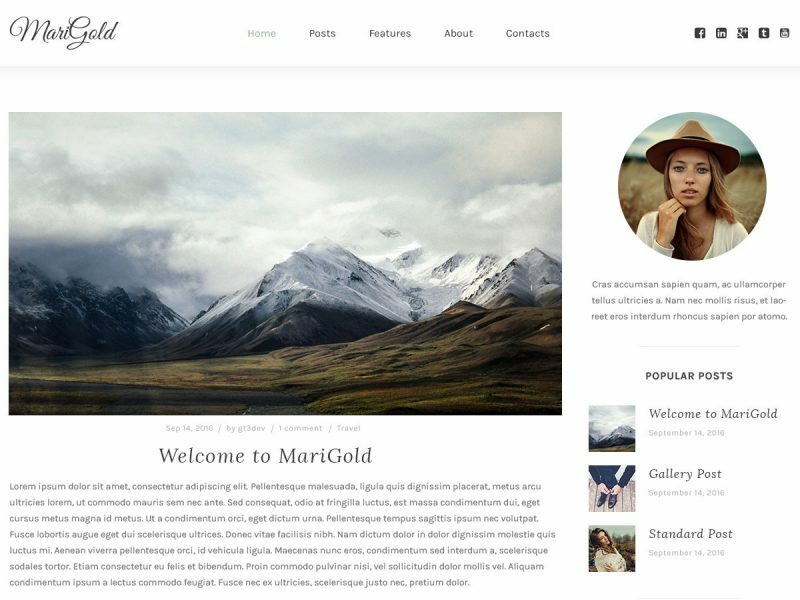 It comes with 2 unique homepage variations, Contact Form 7 compatibility, child theme support, modern and creative portfolio style, cool video home page slider version, smooth transition effects, font awesome icons, and many more features. 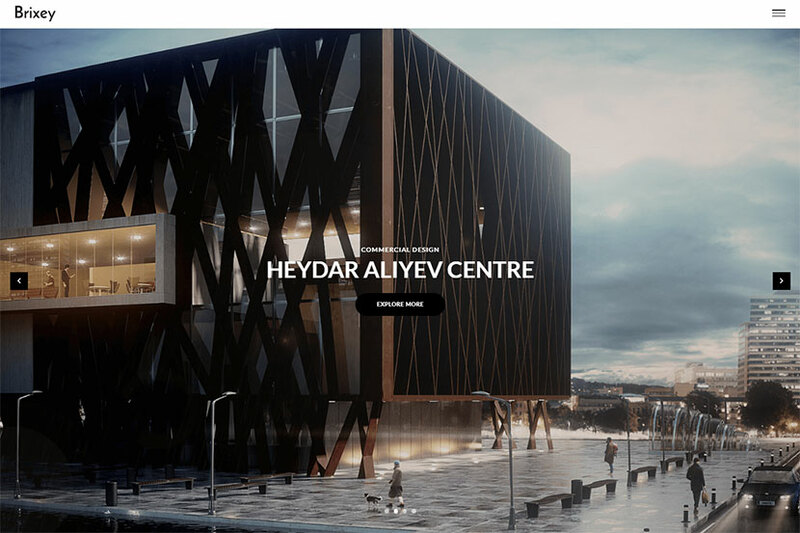 An architecture WordPress theme which comes with large set of carefully chosen and diligently crafted page layouts as well as with many practical elements and features. It allows to create and manage your website effortlessly and gives a revolutionary feel to your website. The template comes with 4 intro type variations including image slider, static image, video intro and slide show. You will find both light and dark skin options, 2 types of pixel perfect homepage templates, 6 project page layouts, 12 single project layouts, 4 header menu options, advanced theme options, and many more features. Hope you like the bundle and you’ll be able to find the theme you were looking for. 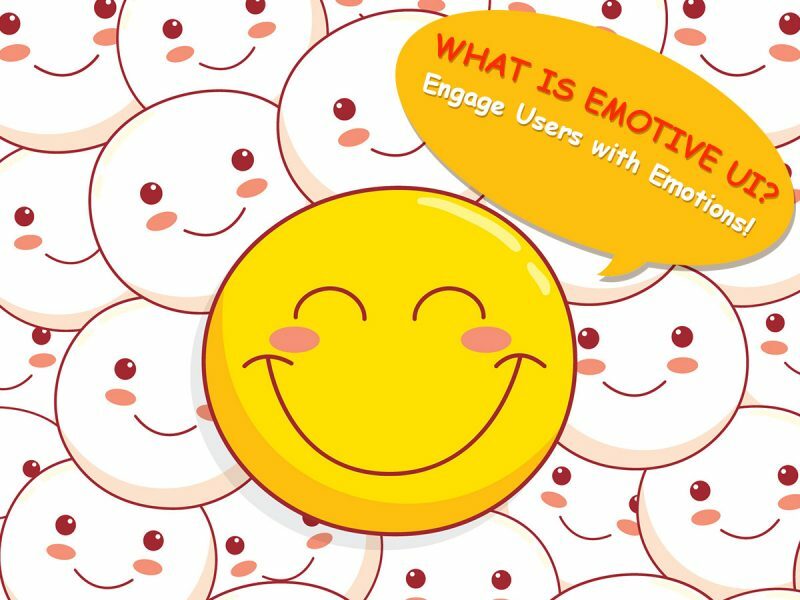 What is Emotive UI? Engage Users with Emotions!